Purple Aloha Shirt with cap sleeves, 100% cotton, machine wash cold with like colors, tumble dry low. 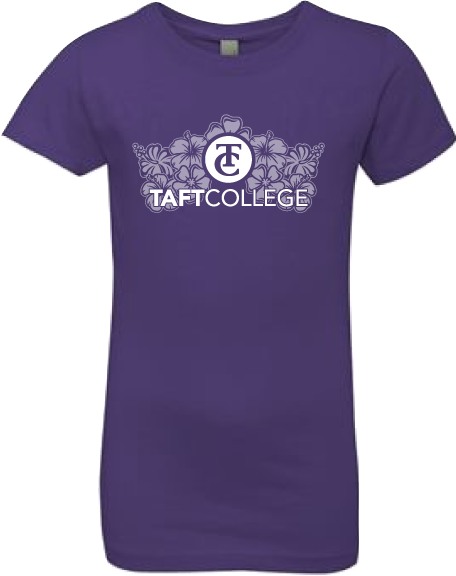 Please select option for Taft College Aloha Youth Shirt. 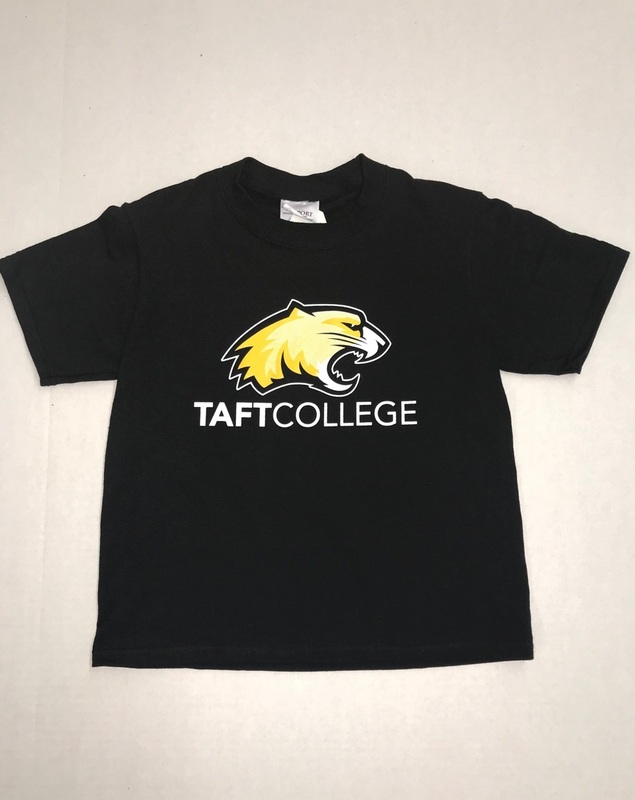 Black t-shirt with cougar logo, 100 % cotton, machine wash cold, inside out, with like colors, tumble dry medium, do not iron. 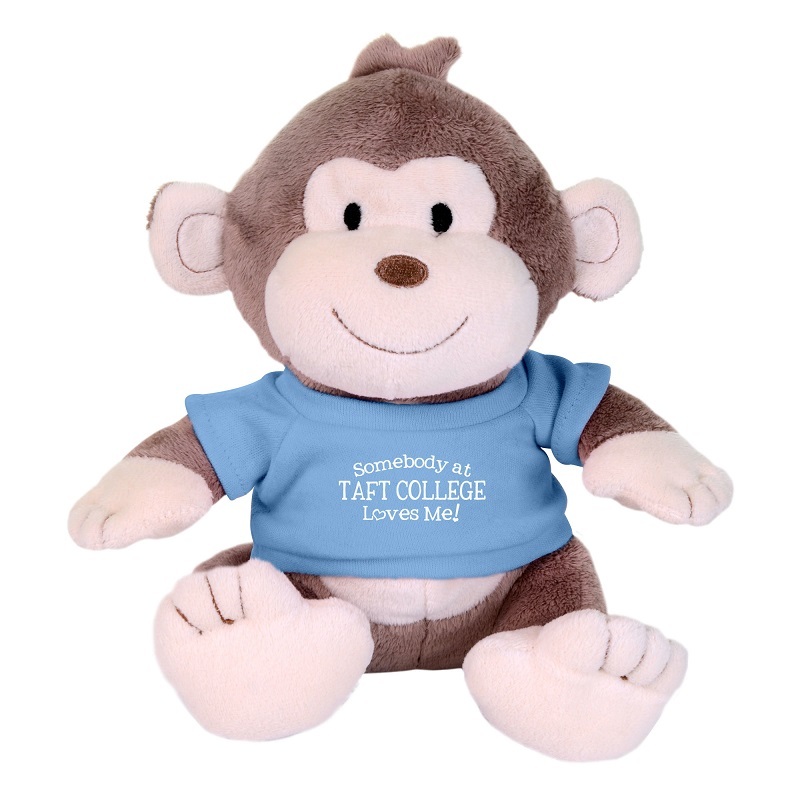 Please select option for Taft College Youth Shirt. 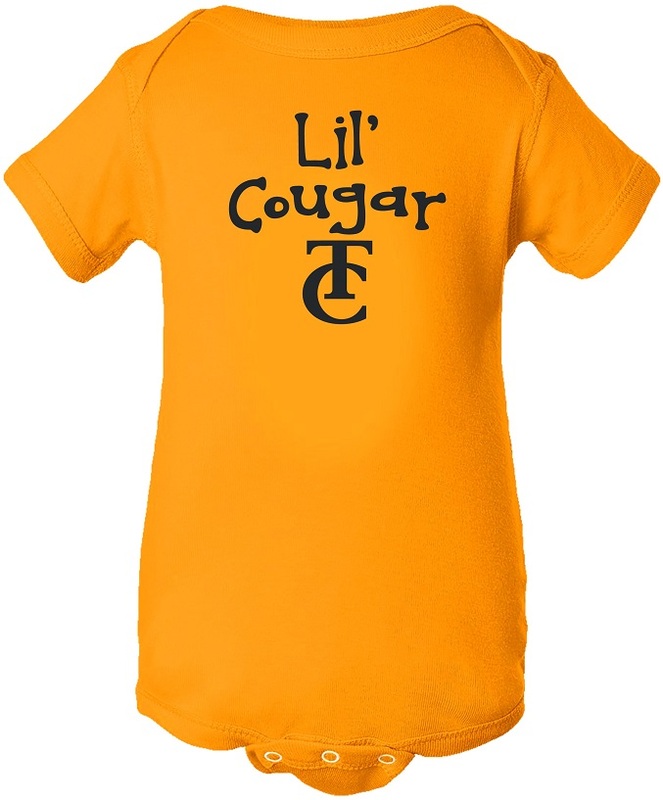 These onesies are available with TC logo, designed with snap closures to conceal a diaper. Machine wash cold water. They are available in pink, gold and pink with white polka dot designs. Please select option for Cougar Onesie. 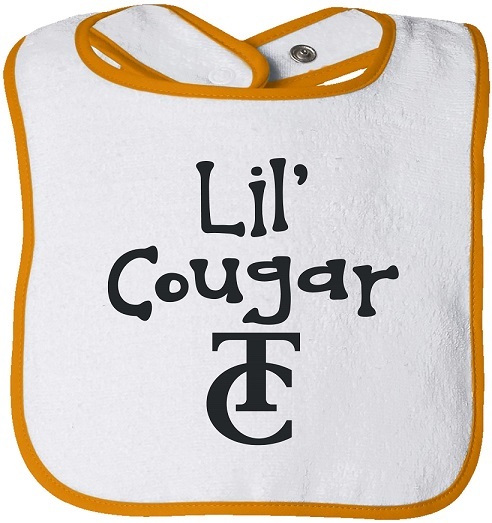 Infant bib in 100% cotton, machine wash, cool dry. Please select option for HOODIE TC YOUTH. 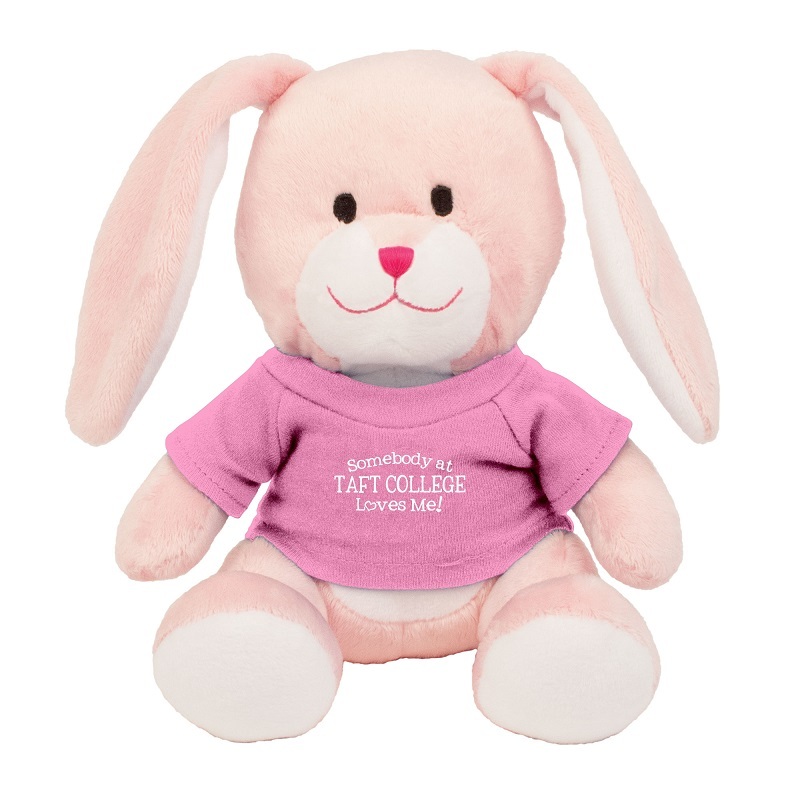 Somebody at Taft College loves me! Available in pink or blue t-shirt. 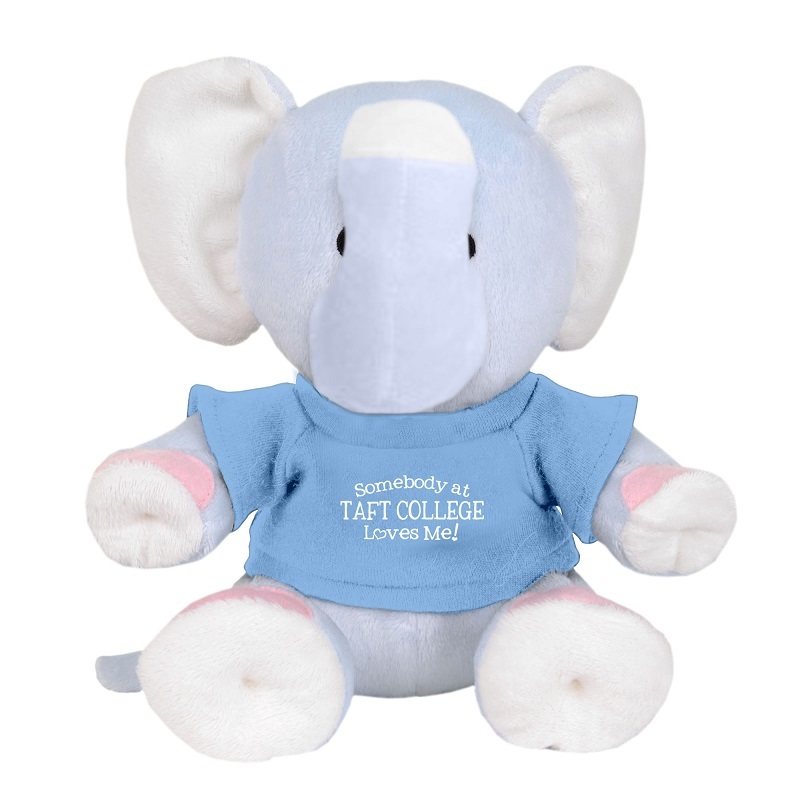 Please select option for Elephant Nursery Pal. Please select option for Bunny Nursery Pal. Please select option for Monkey Nursery Pal.